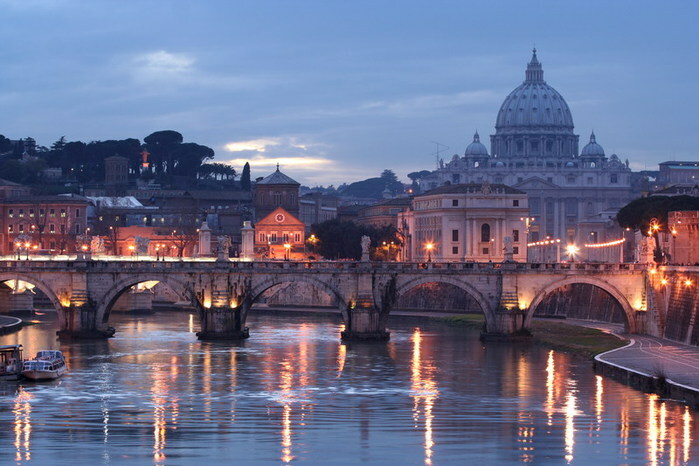 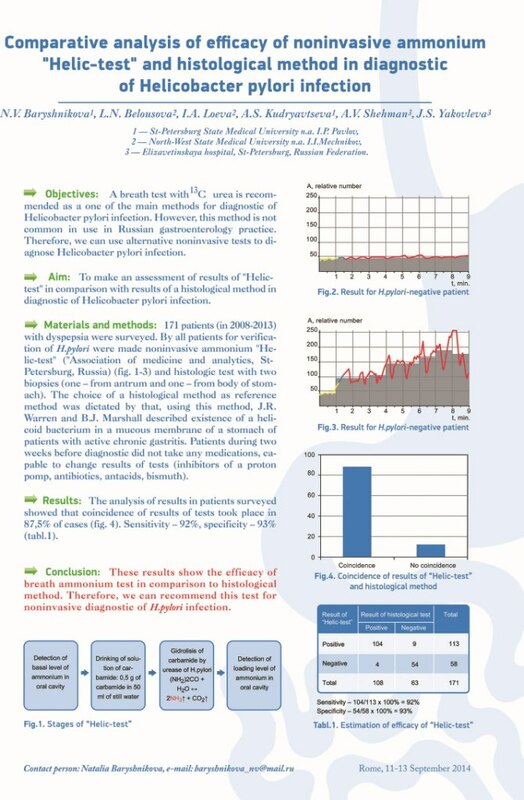 From 10 to 13 September 2014 in Rome (Italy) has been held a scientific conference European Helicobacter Study Group XXVIIth International Workshop on Helicobacter & Microbiota in Inflammation & Cancer. 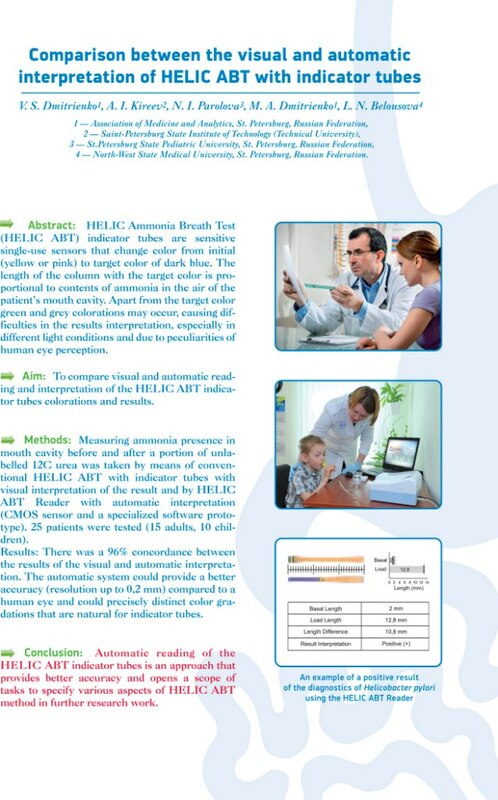 Comparison between the visual and automatic interpretation of HELIC ABT with indicator tubes (V. S. Dmitrienko, A. I. Kireev, N. I. Parolova, M. A. Dmitrienko, L. N. Belousova). 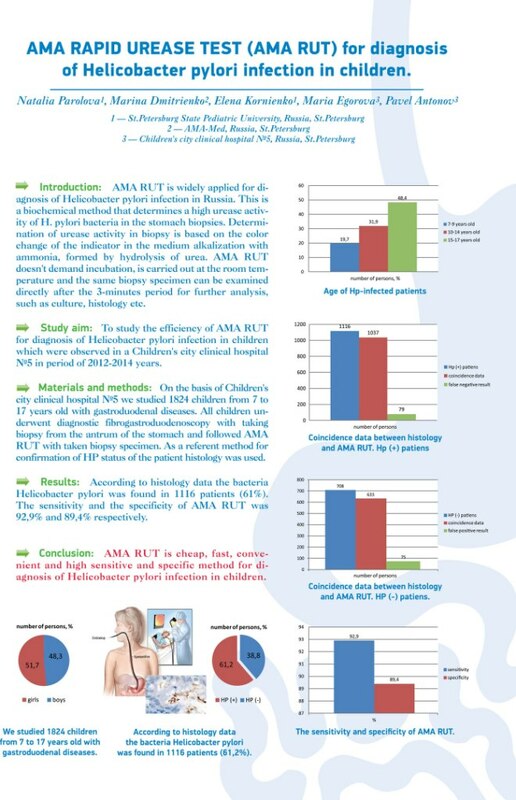 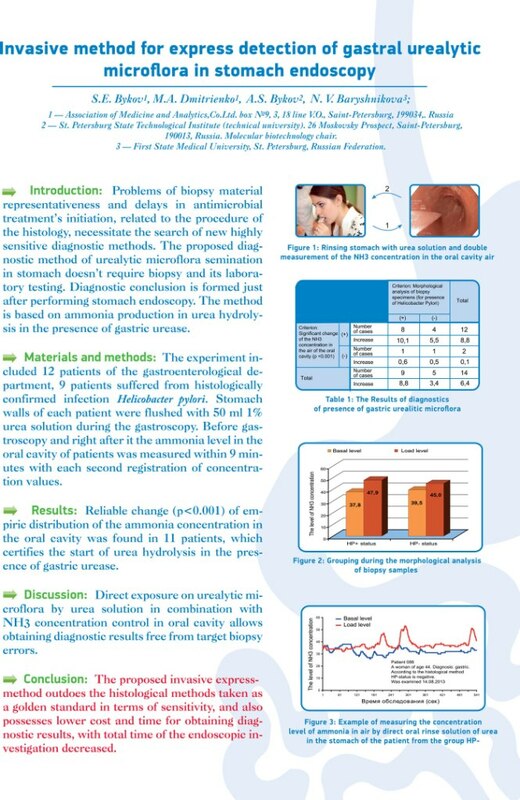 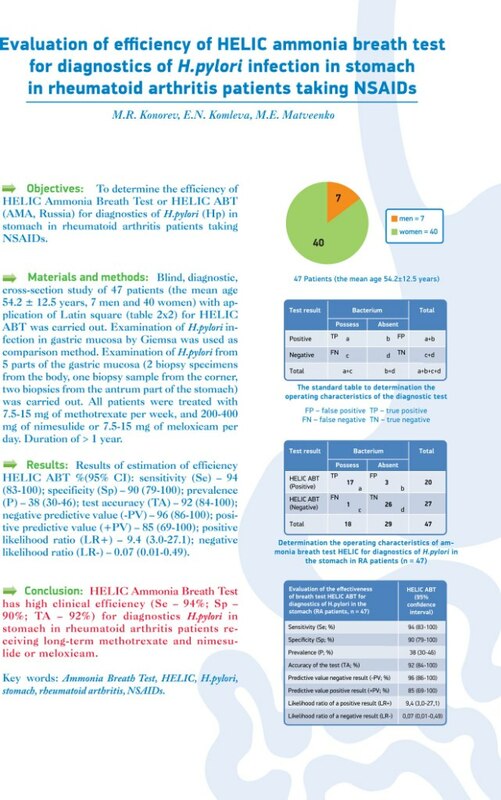 "AMA RAPID UREASE TEST (AMA RUT) for diagnosis of Helicobacter pylori infection in children"(Natalia Parolova, Marina Dmitrienko, Elena Kornienko, Maria Egorova, Pavel Antonov).